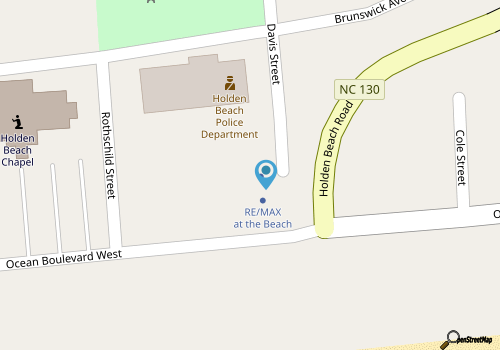 Situated in the heart of Holden Beach, Alan Holden Vacations is renowned as one of the largest and most comprehensive vacation rental companies to service this charming corner of the Brunswick coastline. With plenty of variety and exceptional customer service throughout the reservation process, Alan Holden Vacations is a popular option for visitors, vacation rental owners, and even folks who want to buy or sell real estate in sunny Holden Beach. Holden Beach is a small coastal town that’s located just a few miles away from the busy community of Shallotte and the South Carolina border. The shorelines of Holden Beach are renowned for their great fishing, shelling, and everyday beaching, and the area has been a popular vacation destination for families of all sizes for decades. Alan Holden Vacations specializes in this unique coastal community, and offers a far-reaching range of services that includes real estate sales, property management, and weekly vacation rentals for visiting guests. From classic beach cottages to stunning oceanfront retreats that are steps away from the sand, visitors will find a nice supply of vacation rentals to suit their party, and to help shape the ideal beach vacation in this popular North Carolina coastal destination.